Posted on November 16, 2015 by Jess Janz and filed under from friends-, warm thoughts- and tagged Warsan Shire Atlas Pain Hurt World Universal Paris Aftermath Grief Travel Tragedy. Thanks for the suggestion, Hemingway. 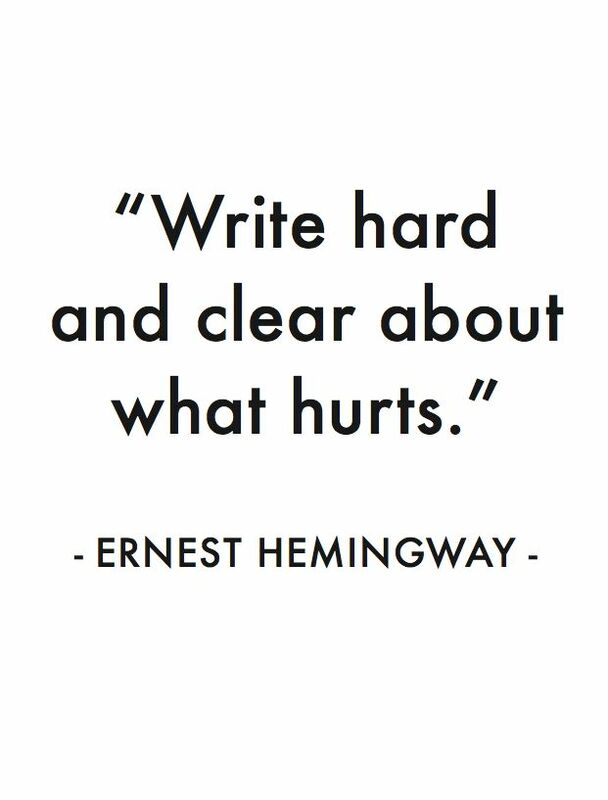 Posted on August 5, 2013 by Jess Janz and filed under warm thoughts- and tagged books Hemingway Hurt inspiration Literature Pain poetry quote of the day quotes suggestion truth vulnerable writing.